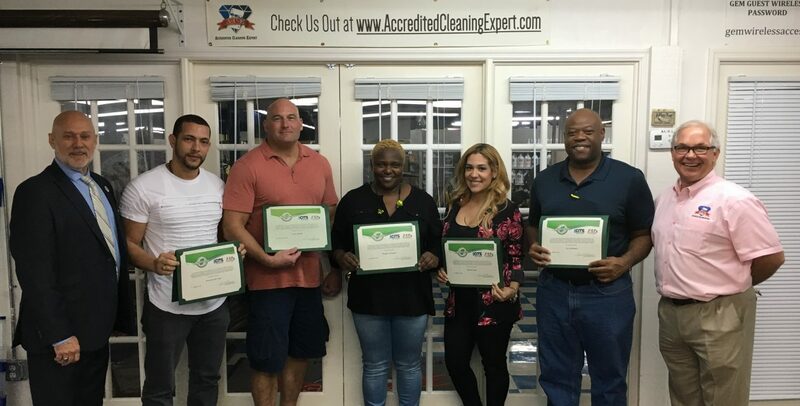 The Academy of Cleaning Excellence currently utilizes two of the leading manufacturers of electrostatic sprayers in the marketplace, E-Mist and Victory, in our classroom education sessions. While both companies distribute mobile spraying units, they are in two different pricing categories. Here we will list for you some of the options you will find from the two. Where can an electrostatic unit/program be used? Electrostatic application systems provide the end user with the ability to solve many of the problems that are present in current methods of disinfection. They reduce the time needed for proper disinfection, provide comprehensive coverage, use less disinfectant, and are easy to operate and maintain. This technology is a partner to the environmental service and infection prevention teams to provide a comprehensive and efficient way to apply the most advanced chemistries and liquid solutions the world has to offer, to help reduce the environmental bioburden, improve outcomes, and lower their bottom line. Patient Care Environments: These units should be used to disinfect after every terminal clean within acute care, intensive care units, ambulatory care and shared space environments such as group rooms, dining areas, public bathrooms, etc. Mobile Healthcare (First Responders, Ambulances): This technology should be used daily after each transport or at a minimal after each maintenance check, restock and cleaning of the ambulance. Durable Medical Equipment: This technology should used daily after each return of medical equipment items. Beds, mattresses, bed side commodes, ventilators, pumps, etc. Most medical equipment companies use these units after picking up of equipment from location and returning to be processed. After the initial clean, during the restage for next delivery.